The iPhone SE is selling out in the US. Is that a sign? The iPhone SE 2 may yet become a reality if new images and rumours are accurate. The budget handset could feature a glass back, and therefore wireless charging, as well as a screen that means a look which is a lot more like the iPhone XS. According to US site Tech Garage, the iPhone SE has begun selling out in US stores. This happens just as these new images are being shown off. Of course these appear to be renders so we're taking them with a pinch of salt. The source claims that the new iPhone SE 2 will come packing a glass back which will mean wireless charging. This could mean the phone gets introduced when Apple finally reveals its long-awaited and much delayed AirPower charging plate. The new iPhone SE 2 should also come with a redesigned screen that makes it fit in with the XS and XS Max family. That could mean an edge-to-edge display with top notch. This will allow Apple to get rid of the home button and Touch ID completely in favour of its newer Face ID security system. It is unclear if Apple will use an OLED screen in this model, or if it will save money by using LCD as it does in the iPhone XR. Apple is rumoured to be doing away with LCD for all OLED devices from 2020 so it would seem odd to relaunch on older phone without this future-facing display. 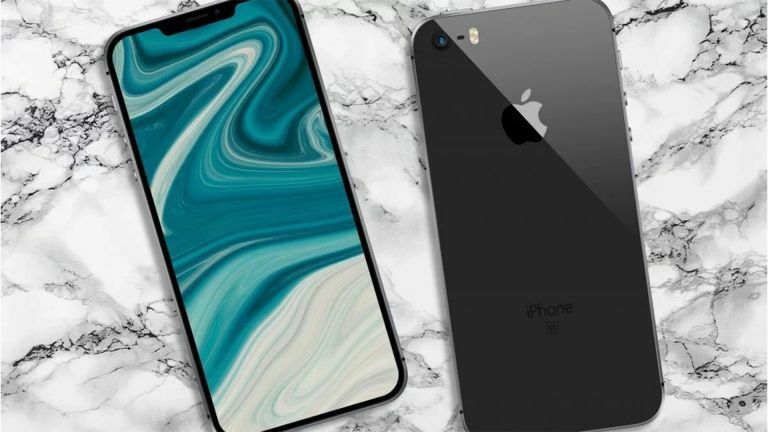 If the iPhone SE 2 does make an appearance, expect it to be later year around September time when Apple usually launches its new iPhone models.